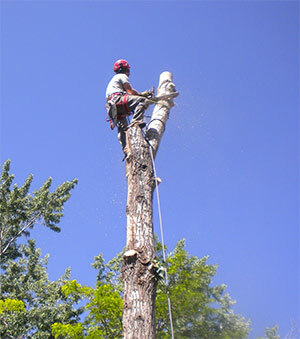 Donovan Arborists are skilled in tree removals of all sizes. You can rest assured knowing that we will remove your tree in a safe and fast manor. We view tree removal as an art and understand that our customers want to hire a company that will be respectful of their property. We have been removing trees in Denver for two decades and have never had property damage claim. We have all the right equipment to protect your house and existing landscape while performing a tree removal. We are skilled in crane assisted tree removals. If you have a difficult tree that requires the use of a crane, call us to for a free estimate. We may be able to save you thousands of dollars. We have performed many crane assisted tree removals in the Denver Metro Area. Check out our video below to watch us perform a technical tree removal job on-site. See firsthand how Paul Donovan completes removals with the utmost care and attention to detail. Your tree could be next!